When news broke last week of attacks in Beirut, Paris, and other cities around the world, as I always do, I turned to fiction to help make sense of the ongoing tragedy. Of course there isn’t any real sense to be found in the violent deaths of innocents; there never is. 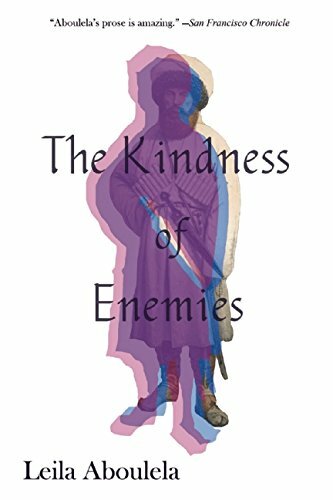 But suddenly my reading of The Kindness of Enemies took on a new urgency. Now more than ever, understanding Islam feels like an imperative, and more importantly, marking the distinction between its earnest practitioners and its extremists. Reading fiction is a consistent way in for me to cultures and experiences outside my own. It strips away the foreignness I feel as I read journalistic reports and use as a convenient excuse for my ignorance. I may easily dismiss “that group” as other, but I can’t do the same with “that character.” The specificity of fiction, though it may not represent truth in the same way a news article would, points me toward the larger, more fundamental truths of real, complicated, global life. Leila Aboulela’s novel shines a light on the events of last week, and in so doing reveals a need for nuance in our approach to questions of religion and extremism. Natasha, a professor at a university in Scotland, bonds with a student and his mother over a weekend spent snowed in at their home, but when the student comes under investigation for terrorist activity, she has to reevaluate their every interaction. Was he harboring fantasies of violent jihad? Were there signs that she ignored because she liked him, respected his intellect? How much responsibility should she bear, if the claims of the police prove true? Natasha's situation is further complicated by her own ambivalence toward her heritage. Her father is Sudanese, her mother Russian, which leaves Natasha in between two cultures, not feeling as if she belongs anywhere. She claims Islam culturally, but is not a practicing Muslim; her almost compulsive tendency to distance herself from her father's religion echoes throughout her narration. Aboulela includes chapters that flash back to the mid-1800s, telling the story of Imam Shamil, Natasha's prized student's ancestor and the focus of her own academic research. Shamil led a group of resistance fighters against the Russian army in the Caucasian War. 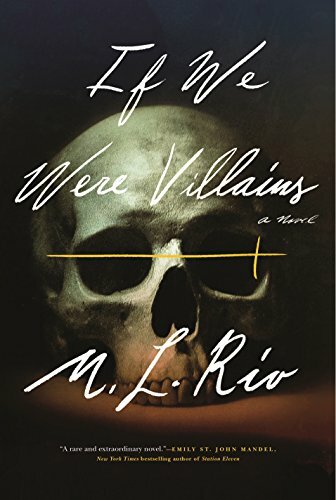 These chapters portray compelling, sympathetic characters on both sides of the conflict—both Shamil and his family, and the families of his enemies—eloquently underscoring the point that, in war, identifying sides as “good” or “bad” is not always a simple proposition, much as we might try to make it so. I still have a lot more questions than answers about what happened last week. But now that I've read Aboulela's book, I've at least learned some of the right questions to ask. With regards to Grove Atlantic and NetGalley for the advance copy. On sale 5 January 2016.